Book Description: Reading Texts: An Interactive Workshop guides you through a series of videos and exercises to help you read efficiently and purposefully. The workshop as a part of the Academic Skills Workshop series developed by the KPU Learning Centres. 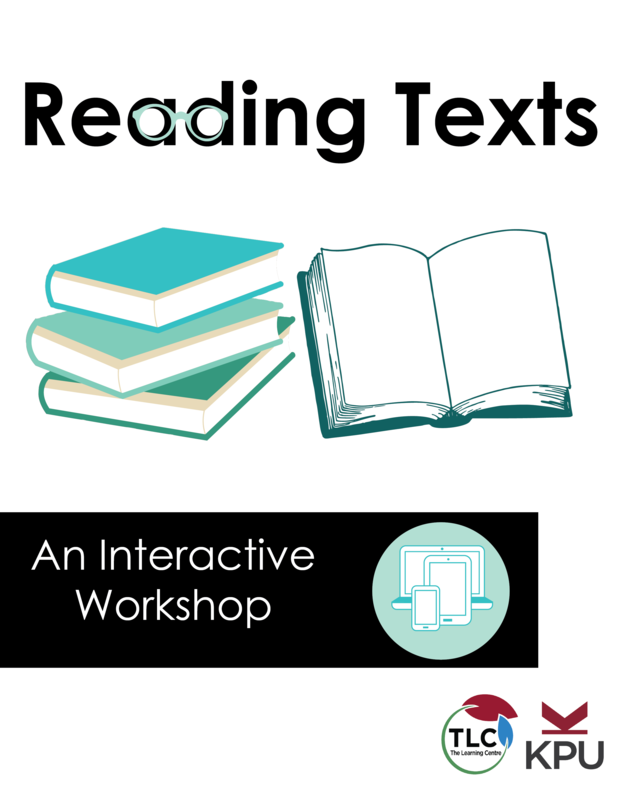 Reading Texts: An Interactive Workshop by Kwantlen Polytechnic University is licensed under a Creative Commons Attribution-NonCommercial-ShareAlike 4.0 International License, except where otherwise noted.